If you are a member of the Society of Union Employees you will be able to find all the information you need to participate in your union. If you work for UNISON or one of its branches (or are about to start work) and are not yet a member of the society you can join here or contact us using this form to find out more. 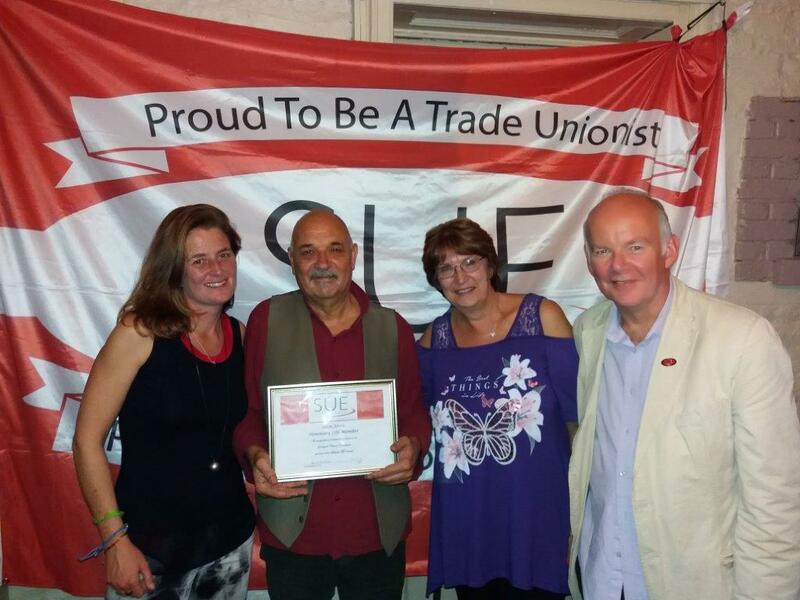 Former President Glyn Jones was presented with his Honorary Life Membership by President Jocelyn Pettitt-Rose and Joint National Secretaries Claire Jones and Charlie Sarell at his retirement do in Swansea on 19th October 2018. 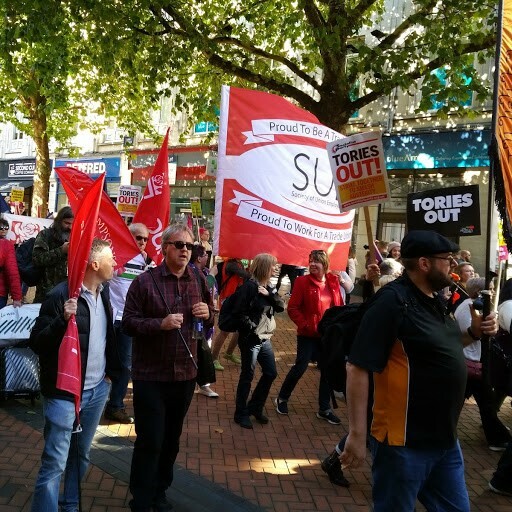 SUE Members marching in Birmingham on September 29th 2018 at the protest against the Tory Party Conference being held in the city.